The BMF ensures the high surface quality and the dimensional precision of injection molded parts by means of continuous quality controls. The use of highly modern measuring equipment and a statistical process control guarantee a constantly high quality of the production. 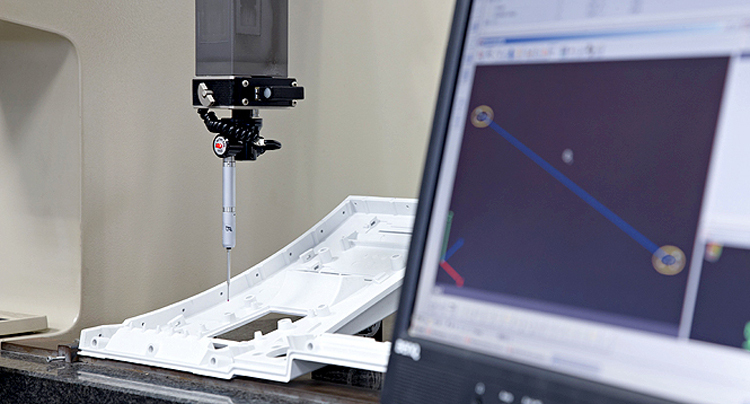 The modern measuring equipment includes a 3-D measuring machine, a double-flank roller test device (cogwheels) and a laser concentricity testing apparatus (axles, shafts).